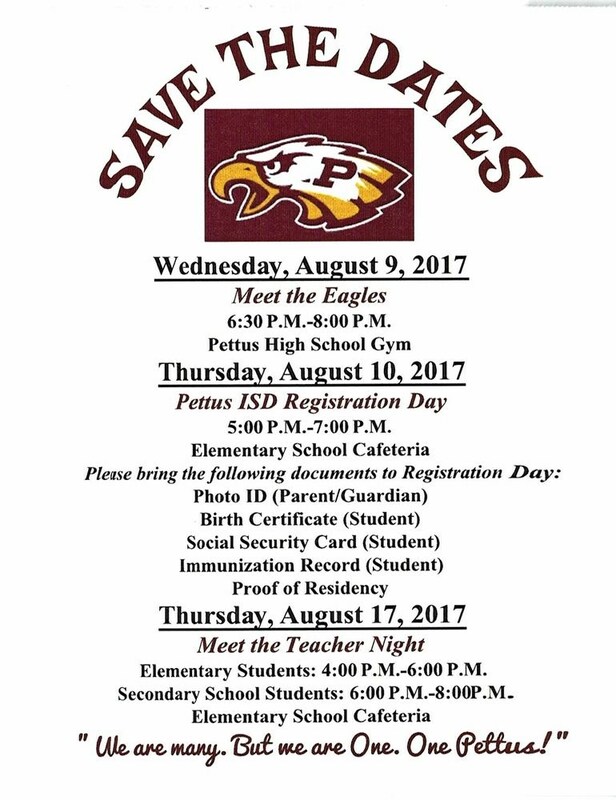 Student Transfer Applications are available in the Pettus ISD District Office. Although applications can be taken at anytime, the Student Transfer Committee only meets on a monthly basis. If you have any questions, please call me at (361)375-2296 ext. 124. Transfer Packets for the 2017-2018 School Year are now available for pick-up in the Pettus ISD Administration Office.